Home Series Place-Based Education Why Place-Based Education? Place: It’s where we’re from, it provides a lens for how we see the world, it commands our attention and care. Place has always been central to human development–it tells the story of the world as it once was and as we currently know it. In modern school systems we often neglect place as being integral to how, and what, we learn. The fact that many presume a school building is the only place of learning in and of itself neglects place as one of the most important factors in development. Why not begin with place? As a result of our collective time spent as educators in classrooms, researchers, designers and leaders — we believe that at the core of rich place-based experiences are six design principles. These principles were formally articulated by Nate McClennen and his team at the Teton Science Schools in Jackson, Wyoming. The principles drive the work at Teton Science schools and many others, including those that are part of the Place Network, across the country. Schools that engage in place tend to follow the six design principles. Not all place-based experiences have to have each of these design principles present, but we find they are often present to some degree when experiences are high quality and lead to meaningful student outcomes. Quick Start Guide to Place-Based Education: This guide provides the big ideas of place-based education and ways to get started. Quick Start Guide to Place-Based Professional Learning: Interested in advancing your place-based practices? This guide is designed for educators who want to enhance their place-based facilitation. What is Place-Based Education and Why Does it Matter? : An overview of place-based education, the research behind it and findings about student outcomes. Giving the Gift of Place: Grab your headphones and take an virtual field trip to Murie Ranch in the Grand Teton National Park to talk about place-based education with Christen Girard and Nate McClennen of Teton Science Schools. From, What is Place-Based Education and Why Does it Matter? “We’ve all experienced the power of place: those moments when we’re immersed deeply in experiencing the world around us and what’s happening there is real and meaningful. Learning in these moments is organic and visceral. There’s much to learn from the places we inhabit — from traveling across the globe to getting out into our own communities. Yet, formal learning experiences that leverage the power of place remain the exception and not the rule. Including examples of many schools across the country and around the world that realize the potential of place. We share stories and practices we learn from these schools and educators. Are you an educator or school engaged in place-based education? We’d love to hear from you and feature your work on the Getting Smart blog. Tweet your photos and examples using #PlaceBasedEd or if you’re interested in sharing your school or organization’s story, Email Emily@GettingSmart.com and include place-based education in the subject line. 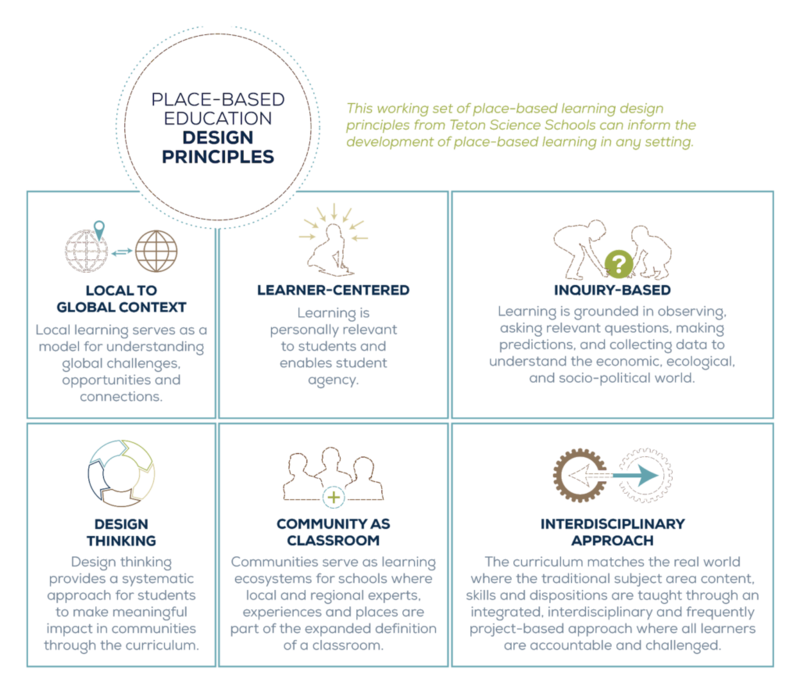 This blog is part of the #PlaceBasedEd campaign, where we highlight place-based best practices and powerful learning examples. Stay tuned for our upcoming book on place-based education, coming in early 2020.